Domino’s Pizza’s steady sales and store growth has made it easier for the pizza chain to lure new employees in a competitive labor market, CEO Richard Allison told analysts on Tuesday. The U.S. unemployment rate currently stands at 3.7 percent, its lowest point in nearly five decades. 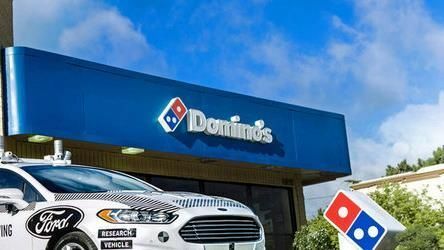 Allison acknowledged that Domino’s franchisees are feeling the labor crunch, but noted that brisk sales growth in recent quarters has made it easier to add to the chain’s delivery fleet. Domino’s has posted 30 straight quarters of sales growth, relying on digital technology to boost revenue and outpace top rivals such as Pizza Hut and Papa John’s. Allison said the chain is aiming to open more than 2,000 new stores over the next decade, with an eye toward having 8,000 U.S. stores in operation. The new stores will allow delivery drivers to earn more tips per shift, Allison said. Domino’s launched a promotion last June where it repaired potholes in select towns throughout the U.S. to “help smooth the ride home for our freshly-made pizza.” Pizza Hut has also focused on improving its delivery fleet, hiring thousands of new drivers across its U.S. stores last year. Domino’s shares fell this week after the chain reported same-store sales grew at 6 percent in its most recent quarter, missing expectations. Shares rallied more than 3 percent in trading Wednesday.